Some people think that the most tragic incident that has ever happened in the sea was the wreckage of Titanic. But actually, the deadliest maritime disaster that had lost many lives with over 4,000 fatalities ever occurred in the History happened on the shores of the Philippines. 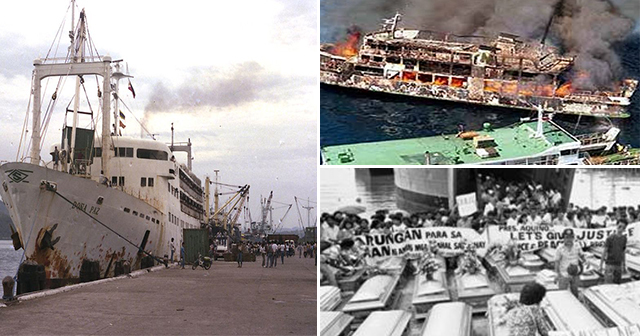 It’s been already 30 years since the tragedy of the MV Doña Paz which claimed thousands of lives, but the story still haunts the seas of the country. On the 20th of December, 1987, the MV Doña Paz transport ship crashed into the MT Vector oil tanker that was carrying 8,000 barrels of gasoline and kerosene which happened around 11:30 PM. The collision of both vessels cause the tanker to blow up that caused massive damage to the MV Doña Paz. The vessel consumed by the fire which burned a lot of passengers while some desperately jump in the sea for safety. This tragic incident takes 4,386 lives making it as one of the worst sea wreckage after World War II. The ship was from the island of Leyte which is bound for Manila. The ferry has only the capacity to hold 1518 passengers, but due to the overcrowding of passengers, it claimed worse counts of body bags in its wake. 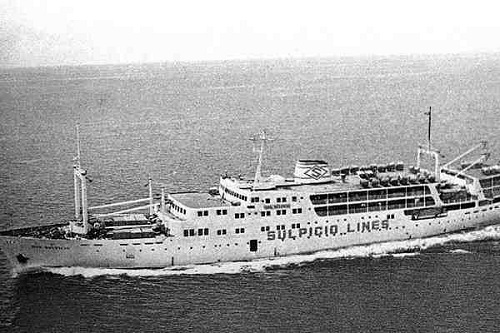 The record on the official lists of passengers were only 1000 names that were written, but according to the office of Sulpicio Lines, they have accommodated more than 4,000 people. Due to the overloading of passengers, the MV Doña Paz wasn’t able to avoid the crash and steer the ship properly. The later investigation also found out that the ferry is also lack of radio communication that might able helped and warn the other ship of the collision. Authorities also find out that the ferry also has lacked with life jackets which have might save many lives who got stranded in the sea. The investigation also revealed that the captain of the ship left the wheel to his apprentice, but the Sulpicio Lines denied the allegations that were thrown at them. They said that they had followed protocols that were set by the Philippine Coast Guard. Later investigation states that both vessels were both at fault in the drastic events. The investigation also discovered that the MT Vector was able to traverse the sea without having any permit, a licensed captain, and even a watchman in the vessel. The steering wheel of the ship was also faulty making it hard to maneuver to avoid taking any hit from the other ship. A lot of immediate grieving family of the passengers of the ships were unable to retrieve the corpses. It also took them days to clear the sea with the dead bodies. It wasn’t the only tragedy for the vessel. It was also got caught on fire on its way to Manila from Cebu under the name of “Don Sulpicio.” None have died in the process that's why it was able to set out on the sea again. It was later changed its name to Doña Paz. Each of the family was given $4,000 as compensation for their loss. This excludes the families who were not on the lists that were recorded who boarded the ship. What are your thoughts on this gruesome incident? Share it with this article!